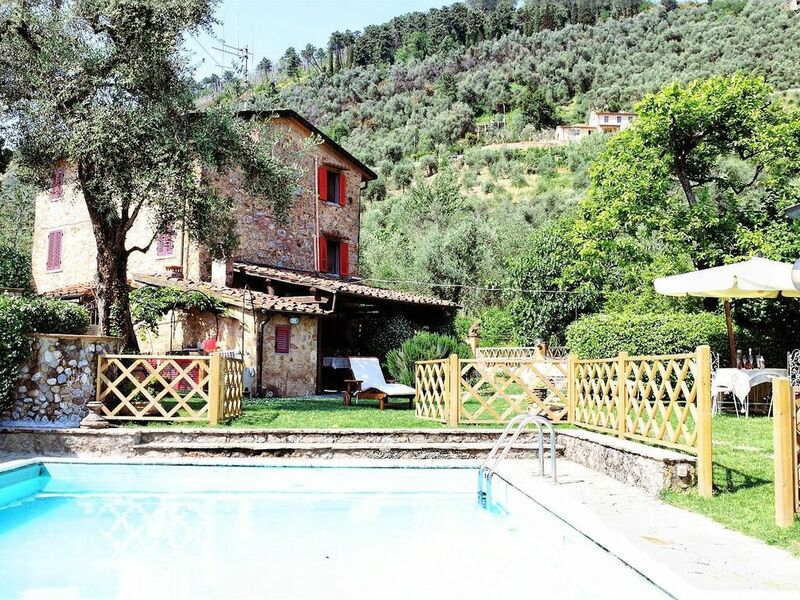 We loved staying at Casale Debora! It was a lovely way to spend a multi-generational experience and explore the surrounding area. We stayed with our three kids and my parents. There was plenty of room for us in the house. Most of the beds were great and the bathrooms were large and very nice. The pool was clean. The best part of the House was the garden where we spent most of our time eating and hanging out. We had a few problems with the gate, but both Debora and her brother were responsive to issues and questions. It is a very steep curvy, narrow road leading up to the House. It makes for great views, but no so friendly on the rental car if you are not so used to that. But the extra insurance:). We explored Piesantra, Viareggio, hiked the falls near by and swam in the natural pools, biked around lucca, spent a day in cinque terre. All of it was amazing and the kids loved it! With a large group in August it would have been better to make reservations ahead of time for local restaurants. But, we brought in pizza and pasta to the house from the pizza place in pieve. The food is good and really cheap and kids loved getting to eat and jump right back in the pool. Bug spray is definitely helpful. Beautiful house with lovely pool and yard! We recently stayed at this wonderful property for 5 days with our two kids (11 and 16). We absolutely loved coming home to the house each night after being out all day sight seeing. The house was comfortable and clean and the pool was very refreshing. The owner even arranged for a chef to come and give us a cooking lesson! The location is fantastic enabling us to do day trips to Lucca, the beach, Carrara Marble tour, Pietrasanta, etc. The owner was very responsive to any questions that we had and I would highly recommend this house to other families. We thoroughly enjoyed our stay! It was a pleasure have you as our guests and yours is a wonderful family! I hope there's another chance to be together! Debora, Rosa, Umberto e Sofia. The house is perfect. 4 bedrooms all with airconditioning which is very useful during the summer. Beautiful garden and nice swimmingpool. In Pieve there is a nice restaurant. The road up is a bit small and steep. We were with 6 persons .Lucca and Pisa are 30 min drive and the beaches are 20 min drive. Thanks for your nice words! It was a pleasure to have our guests! For us it is really very important to leave a good memory of the house, of us and of Tuscany! Thanks. We could of stayed here all day each day, but we had other places we wanted to visit. The villa is very, very nice. Very clean and updated inside with beautiful bedrooms and air conditioning ( it is quite warm in June). The grounds are so lovely with eating areas and a beautiful pool. We spent a lot of time enjoying the mountain air and the views. Patricia and her family are ideal guests: thanks for your beautiful words and care you have for our home! Casa ampia e accogliente, curata nei minimi dettagli (non manca proprio niente!) e un contesto davvero suggestivo. A cui si aggiunge l'incredibile disponibilità di Debora... e la sua fantastica focaccia! Non potevamo trovare di meglio! Très belle propriété à la fois proche de la mer et au calme au milieu des collines. Magnifique terrasse avec le four à pizza et le grill. Seul bémol: le réseau wifi ne marchait pas la plupart du temps pendant notre séjour. Dal 27 Aprile al 26 Ottobre, piscina aperta ad uso esclusivo compresa nel prezzo. COMPRESI NEL PREZZO: parcheggio,biancheria, accappatoi, manutenzione e pulizia piscina, internet wifi, consumo energia elettrica, gas cucina, pulizia iniziale e finale.